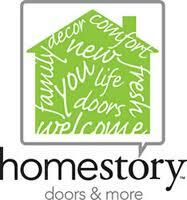 Homestory Doors Franchise for Sale - Get Benefits Now!! is replacing America’s 1.3 billion doors that are in homes 20+ years old – it’s a large, untapped market with little competition. We captivate homeowners by transforming every room of their home quickly, easily and affordably by replacing their old, outdated, vvill-fitting doors with all-new designer doors and beautiful hardware. We complete jobs in just a few hours and for half the cost of traditional replacement methods. This game-changing level of efficiency is enabled by proprietary door measuring technology and suppliers who handle the door milling and painting. HomeStory franchise owners benefit from our leading marketing and sales program that generates a high volume of leads and sales. Our founder’s business replaces over 6000 doors per year using just a five man installation crew, generating over $2,000,000 in annual revenue. See Franchise Disclosure Document for details.